Total Area: 2013 Sq. Ft. 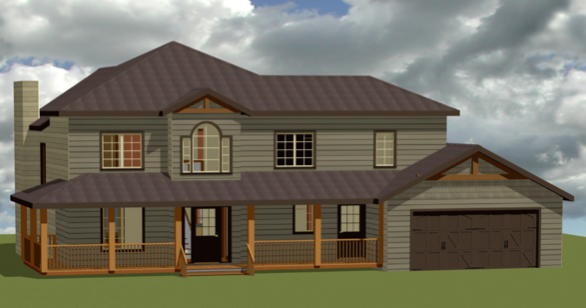 The Robson, a 2,013 square foot hybrid timber frame design, has a classic two storey country look, featuring three bedrooms and three bathrooms. The covered deck and entry way, along with the timber gable details, create nice curb appeal. As a result of a simple footprint and efficient layout, this is an extremely cost effective timber frame design. Walking through the front door of this home, you find yourself in the entryway, with 18 foot high ceilings that lead directly into the vaulted timber frame great room. The great room is full of windows for maximum natural light to highlight the wood beams, and provide views to the backyard. The main living area centers around a built-in fireplace and entertainment unit that can be customized to fit your needs and style. The kitchen and dining are completely open to the living area, with a flat timber ceiling above them to give an extremely roomy feel to this main floor. The kitchen sink is located in a large island, creating a very functional kitchen for prep work and cooking. A large walk-in pantry is located between the garage entry and the kitchen to make it easy to access when bringing in groceries from the car, as well as getting groceries from the kitchen. Both entry ways also feature walk-in closets for coat and shoe storage. All three spacious bedrooms are on the second floor, and are connected by a catwalk that overlooks the great room. 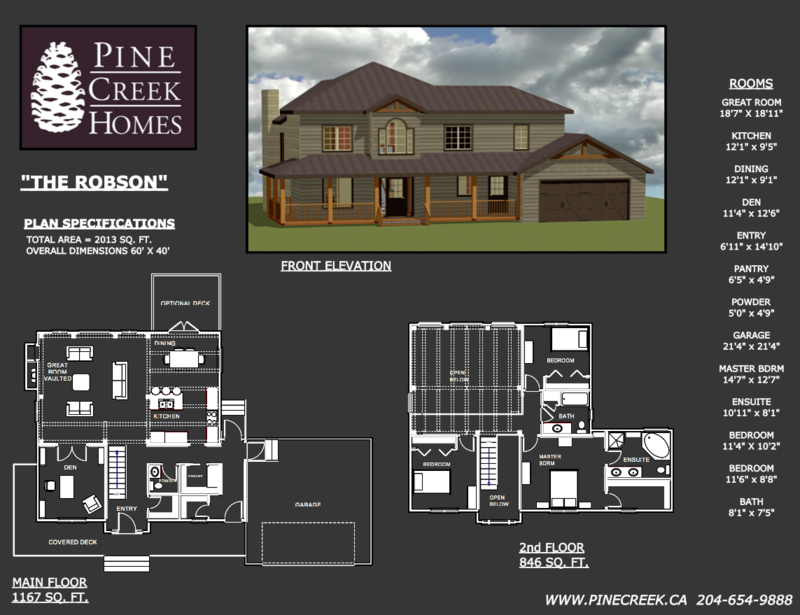 The large master bedroom has it’s own walk-in closet and a four piece ensuite bath, with dual sinks and a soaker tub. The den is another great feature of this home – with double doors, it can be opened up, to feel like part of the great room, or be closed off for a quiet space to work. It could also double as a spare bedroom for guests.